Olivia McIvor is an international speaker, social researcher and change agent dedicated to inspiring people to make conscious change.She is a best selling author of three books and numerous personal and professional development tools, a Compassion Advocate with 30 years of experience and leadership in the Organizational Development Profession. She consults and advises admired companies internationally, teaches university leadership, conducts leading edge research on workplace values, generational trends, and has spoken to audiences around the globe. 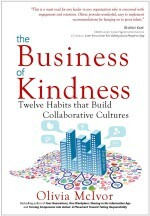 Her books, The Business of Kindness and Four Generations, One Workplace and show business how to create a workplace environment that creates true employee engagement, wins the hearts of their people and fosters employee commitment and engagement. Her third book offers inspiration and practical advice on how we all can take responsibility to make a difference in the world, at work, in our families and in our communities. Turning Compassion Into Action: A Movement Towards Taking Responsibility is Olivia’s work, experience and social research on how we as a society can use what it has to actively help others in our immediate circle of influence. 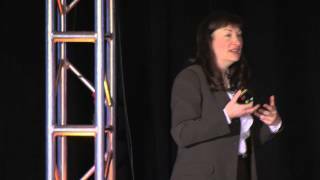 Olivia McIvor helps people and companies remain compassionately focused amidst rapid change. For over 25 years Ms. McIvor has worked with hundreds of clients and spoken to thousands around the globe on building collaborative cultures, engaging and retaining the generations, wisdom transfer strategies and creating compassionate communities. An author and corporate culture advisor Olivia McIvor has devoted her life and career to facilitating deeper conversations about personal values, culture and leadership. She has spent a life time interviewing leaders, connecting with individuals across the globe to ensure the pulse of people’s needs and opinions remain palpable and understood. Her beliefs, wisdom and experience have helped leaders across North America discover practical ways to create engaged workplaces and intentional positive lives. With over 28 years in business management, Olivia’s career has also included over two decades of experience in the field of Human Resource Management and Leadership. In 2000 Olivia ventured into the Entrepreneur world herself as the owner of a unique bookstore devoted to Personal and Professional Leadership. In 2001 Olivia was nominated Female Entrepreneur of the Year by Working Women Magazine and has been featured on the Knowledge Network/Discovery Channel for a segment on workplace wellness. Her speaking endeavors have included numerous conferences and consulting clients including: U.S Food Service, The Georgia Power Company, Family Services of Ontario & Alberta, Vancouver Olympic Organizing Committee, The Workers Compensation Board, Alabama Power, The Supreme Court of Pennsylvania, Saskatoon Health Region, The Good Samaritan Society, Benjamin Moore Paint, TELUS and many others. Olivia is a senior associate with her partner company, The Organizational Culture Group Ltd., a training and development company focused on creating engaged workplaces that retain, engage and keep their people. She is a program facilitator, developer and keynote presenter that has engaged audiences with her inspiring and thought provoking change programs. Her licensed culture change programs on Four Generations, One Workplace: sharing in the information age, The Business of Kindness: Creating Connection, Compassion and Community in the Workplaces” and People Centered Leadership: Management for Engagement” as well as the pioneered, Turning Compassion In Action: a movement towards responsibility are changing workplace cultures nationally. She is the author of three best selling books: The Business of Kindness: Twelve Habits that Build Collaborative Cultures, Four Generations-One Workplace: Sharing in the Information Age and Turning Compassion into Action: A Movement Toward Taking Responsibility. Ms. McIvor lives in Vancouver, British Columbia.